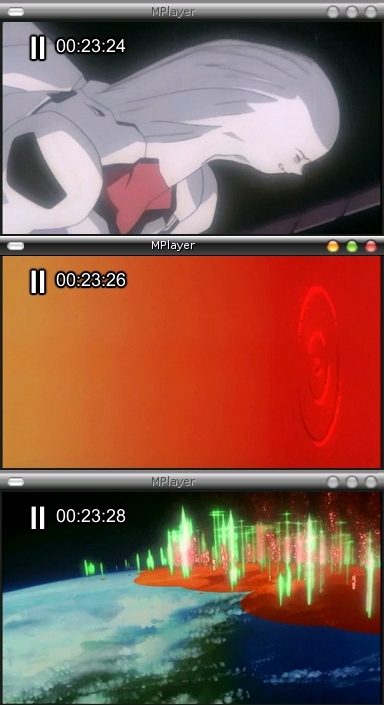 In a lot of episodes of Evangelion we see the 'drip of water' with generic sound effect attached. Also remember that being in RahXephon a lot as well. It could tie in with Rei's fask of water and the drip being a ripple in consciousness or something similar, but I dunno, seems like a lot of directors use this visual motif and I don't understand what it is suppose to represent... if anything. Don't read too much into everything. In FGC (evacommentary.org), the script says that water dripping -> ripple = symbolic beginning of the universe. Everything you see a drip-ripple just think of it as someone's emotional problems being resolved, for better or for worse. No, sorry it doesn't tie into raxephon or to any other property, anime or otherwise, unless stated as a inspiration for eva. asdfff wrote: Don't read too much into everything. In FGC (evacommentary.org), the script says that water dripping -> ripple = symbolic beginning of the universe. Where does it say "symbolic"? Everything you see a drip-ripple just think of it as someone's emotional problems being resolved, for better or for worse. I'm not sure how this ties into all occurences of the "water droplet" motif -- for example, Kaworu's disembodied head falling into the water; the "echo" of this at the beginning of #25'; the sideways drop of blood right after the harpies skewer themselves; the one corresponding to the cut in the OP, right before Yui "awakens"; etc. We probably hit most of the occurrences in the "Scavenger Hunt" thread. LuigiHann wrote: It's probably just my brain being influenced by Evangelion Opus, but I tend to associate the water drop with Yui. 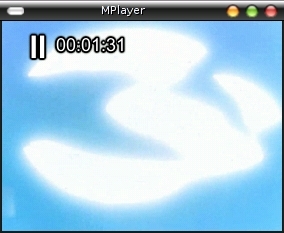 I think I'm just confusing it with that blue rippley spirit thing that actually is associated with Yui. The same image of the flickering light appears in episode #16 (“Shi ni itaru, soshite”) and episode #20 (“Kokoro no katachi, hito no katachi”). 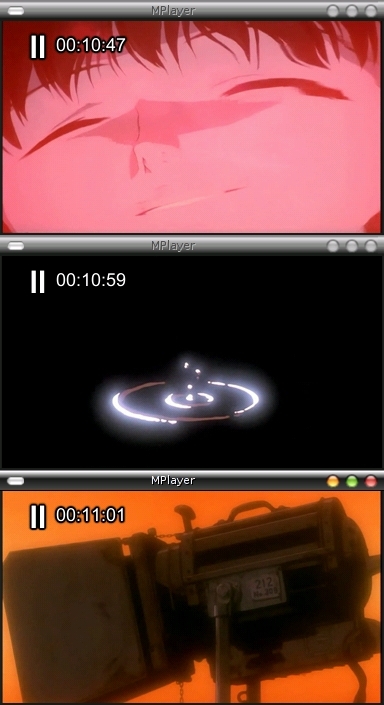 Both times, it is just before Shinji's return to the real world from the entry plug (= the inner universe). Perhaps it is the image seen by an embryo inside its mother's womb of the light coming in from the outside world? Yeah, that's what I was thinking of. It's at least... tangentially connected to Yui. Not so much her as a character, but more to do with the "mother" motif in general. Still, somebody needs to bring in the list of times the water drop occurs. I'll find it. also in ep. #20, at 14:35, and again at 18:20. Also, the sound effect is there in the very beginning of ep. #16. Does that count? Okay that doesn't help much at all. LuigiHann wrote: Yeah, that's what I was thinking of. It's at least... tangentially connected to Yui. Not so much her as a character, but more to do with the "mother" motif in general. The mother/water motif, when you take it all together, is massive. Then, it is a theme that's just about as ancient as you can get. Offhand, another occurrence of the droplet is right before the bizarro sandbox scene in #26'. It would probably take a careful analysis of the collective contexts to figure out what the heck this droplet thing is all about. (Maybe there are some clues in the materials I have, as well, for whenever opportunity knocks.) The variation involving Kaworu's head falling into the LCL, and the "recurrence" at the beginning of #25', might be a good point of reference, along with the other divergences -- #26', the sideways drop of blood during "Komm, susser Tod" and the bottom-to-top droplet that opens Yui's farewell to Shinji. For the record, Shinto myth tells that Japan was created by the gods thrusting a sword into the ocean, and when it was pulled out, the drops that fell back into the ocean became the islands of Japan. This might not be intended to convey creation, but it may just be a visual aesthetic that is culturally ingrained, included purely for aesthetics and nothing else. Concerning the flickering light... correct me if I'm wrong, but doesn't it also appear in episode 19 before Eva-01 goes berserk on Zeruel? I'm not entirely sure, but I believe it was before the beating sounds after Shinji stopped yelling. Kadou wrote: Doesn't it also appear in episode 19 before Eva-01 goes berserk on Zeruel? Yeah that's right, it appears just as the heartbeat sound starts. I'm guessing that is the moment when Shinji became absorbed into the core... I remember that same light-through-the-water effect when Misato opened up the entry plug in episode 16 too. Maybe that is depicting how life rose out from the oceans (or LCL in this case), been rejected from the sea/womb into a different sphere of existence. Interesting answers for the drop of water question (drip of water sounds silly ), though it seems nobody is certain what it is suppose to mean. Drip is the verb (and the onomatopoeia for the sound) and drop is the noun (although it's also a verb, but in this context it's a nound, like "drop of water"). 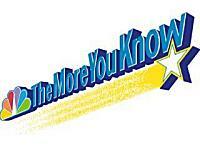 Drip can also be a noun, like "the faucet has a drip" but it doesn't mean the same thing as drop. But yeah, I'm not sure what it means in Eva. 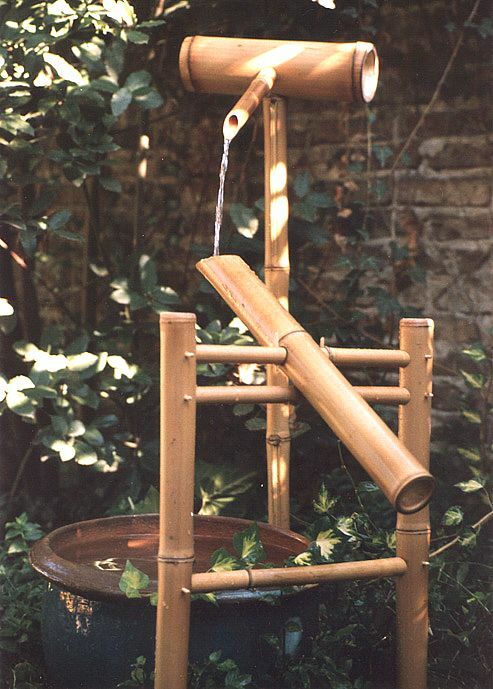 I'm thinking now of those fountains, like the Suikinkutsu or Shishi odoshi (yes, I had to look those up, I had no idea what they're callde) that periodically drip water. Apparently the former is considered a sort of musical device, and washing your hands in it is considered to be "playing" it, and the dripping sounds are relaxing and peaceful. The latter is used to scare away deer, and the sound occurs periodically, giving a visitor a sense of the passage of time. None of that has any real relevence, but it's interesting nonetheless. I wonder if the drip is like Eva's use of hexagons and octogons, where it doesn't have any one concrete meaning, it's just used in a variety of contexts to tie the various themes together. This is probably just from Asuka taking a bath or something, but they use the light effect instead of a water drop. 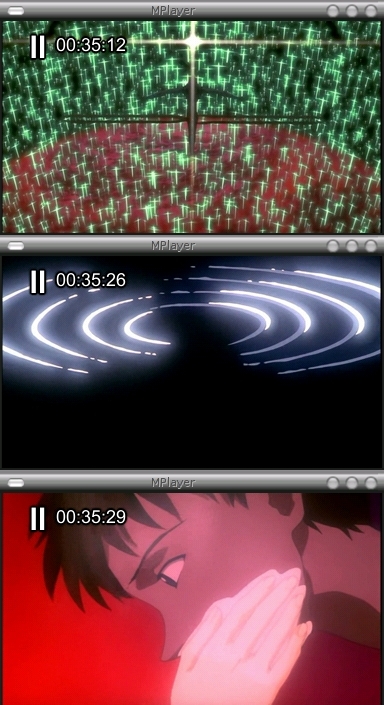 First is the "be one with me" sequence, then the water drip, then the scene cuts to the outside world where they start the salvage operation (didn't include screenshot), then the "hey Shinji" sequence. Gendo: It is a pity that this child will live after Second Impact, in this Hell. then a shot of Shinji's face saying, "Mother..."
Gendo: I'll name it Shinji if it's a boy, Rei if it's a girl. then Shinji kinda floating (upwards?) and says "Mother." again. then the light effect (no dialogue). Following this, we're back in the real world and Misato is still crying and Shinji squirts out of Eva-01's core. Rei: Who? Me? Me within Eva. No, I feel someone else other than me. Rei (Angel): Don't you want to be unified with me? Rei (Angel): Hmm, but you shall. Rei: Pain? no, something different. Rei: Do you hate being alone? Rei (Angel): That's your mind. Full of sadness. then the real world, Rei's crying: "These are tears. It's me who is crying." Shinji's in the entry plug, GNR and GNK just had a convo with him (Rei: What do you wish for? ), and it looks like he's turning into LCL or something, we see Asuka's boobies overlayed, then everything gets all watery. Then, the park sequence with Shinji as a kid building a sand pyramid. Here's the sideways drip of LCL (I think). First the last harpy stabs core, then a sideways drip, then the earth is covered with red. Unlike the other cuts to the drip, this one fades to black. So, you'll be okay now? it was good to have been born. But in the end, it's just realizing the obvious over and over again. now back to the original question: What does the drips mean? I posted the images and relevant dialog in hopes to help discussion. One thing I noticed right away is that the drip usually seperates a "different" reality from the real world, with the sole exception of the orange sideways drip and the second drip in ep20 (the first ep20 drip I didn't add the scene in the real world of everyone working on getting Shinji out). Indeed. Whatever the water drop 'means', it's function as part of the "visual vocabulary" of NGE usually is to serve as a sort of visual punctuation, representing a transition back and forth between external and internal reality.